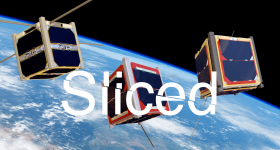 Today’s edition of 3D printing news Sliced for quick digestion features 3D design workshops and competitions; turtles; the latest from EOS; Multiply Labs; a 3D printed electric car; an alternative technique for metal printing; Georgia Tech; NASA; Duke University; Sciaky; Airwolf 3D; EnvisionTec; and a 3D printed tribute to the late king of Thailand. 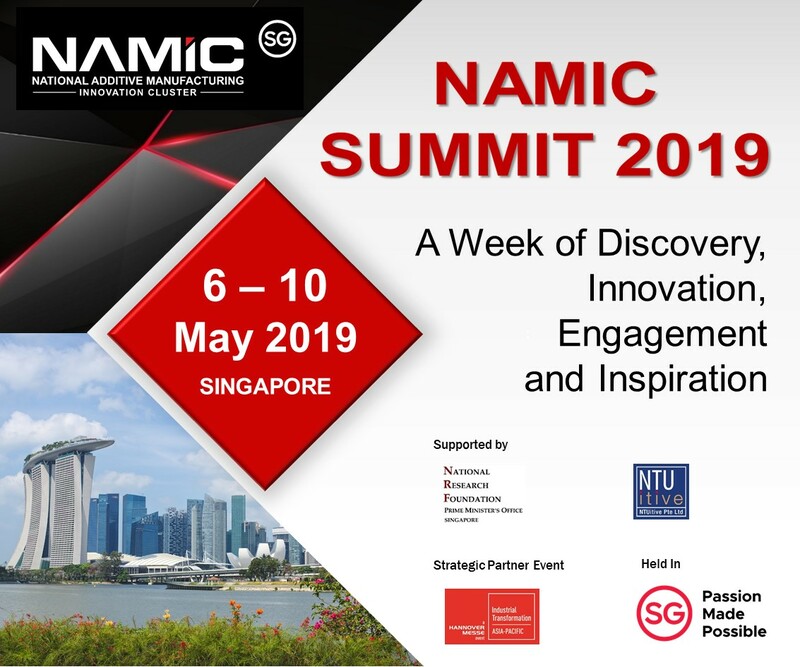 Lawrence Livermore National Laboratory, behind cutting edge additive manufacturing research including 3D printed glass lenses and an alternative method of metal printing, is offering a summer academy for community college students. In a week of workshops from the Livermore Lab, students will get a chance to tour the site’s specialist additive manufacturing facilities, and gain hands-on experience of 2D and 3D design. Students enrolled in colleges can register online for a fee of $25. 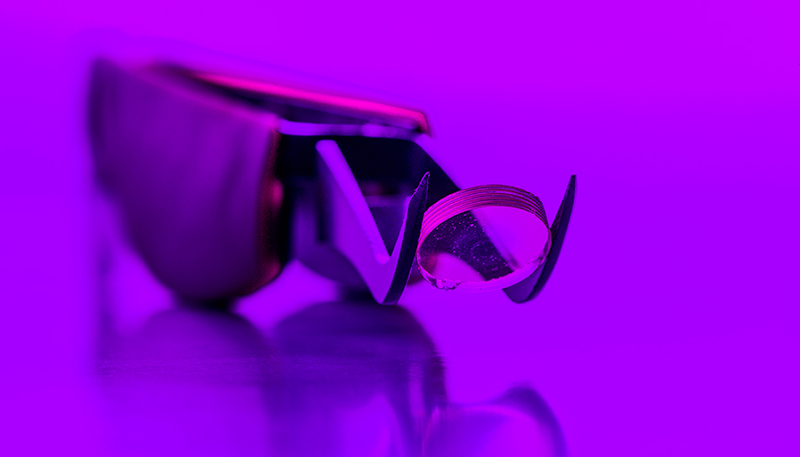 A 3D printed lens from Lawrence Livermore National Laboratory. 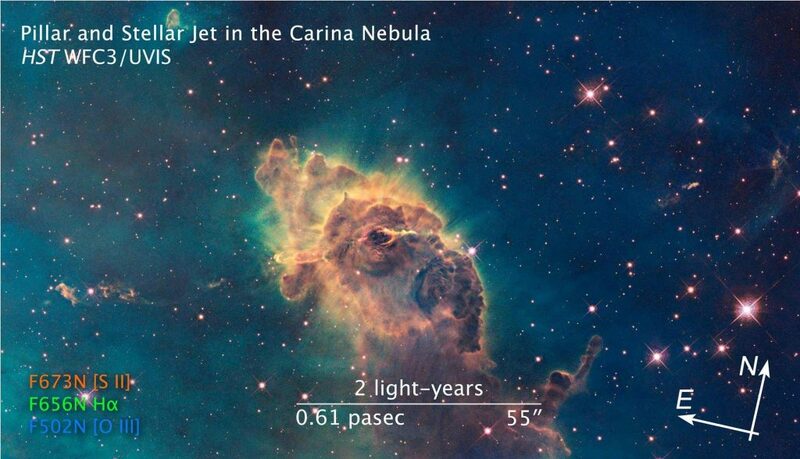 Photo by Jason Laurea/LLNL. 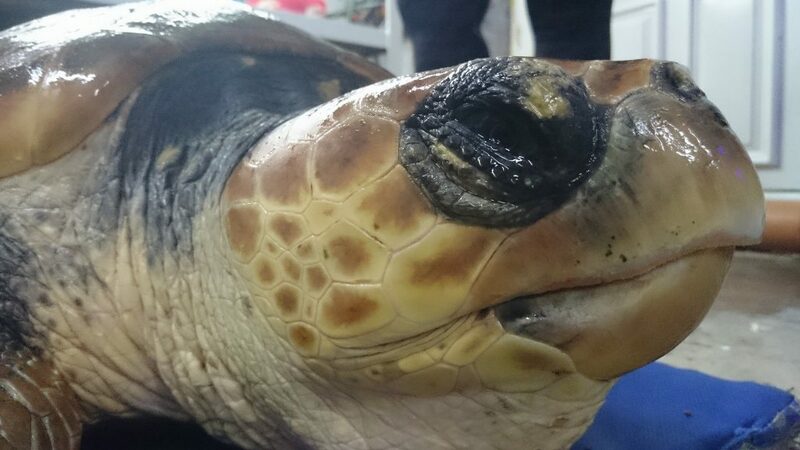 A turtle rescued by group of divers in Ireland is to get a 3D printed titanium flipper from metal additive manufacturing company Stryker. Sally lost her front left flipper in a presumed shark attack and was having difficulties swimming naturally. She was then brought to the attention of marine expert Kevin Flannery at the Ocean World Aquarium in Dingle. Flannery appealed to Stryker to make a replacement flipper that would be hard wearing. The designs are still in progress, but once Sally gets a prosthetic with a comfortable fit she will be returned to the wild. 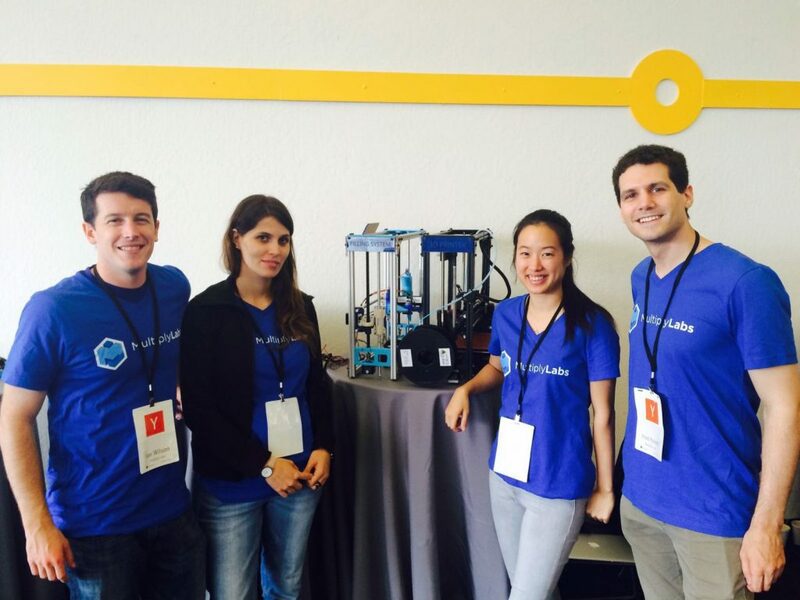 San Francisco based Multiply Labs has raised $2.7m in venture capital. Co-founded by researchers from MIT and the University of Milan, the company develops personalized health supplements in the form of 3D printed capsules. This funding will be used to help build an advanced manufacturing facility to meet on-demand pill production powered by robotics. The Accelerating Aotearoa charity in Otara, South Auckland, is helping a project to build the nation’s first 3D printed electric car called “The Drop”. The Drop is a 3 wheeled car designed by Accelerating Aotearoa entrepreneur-in-residence Ira Munn. It will be made of recyclable materials, motorway legal, and come in a kit form to avoid the need for an assembly line. Munn has been working with 3D printing facilities at Massey University for the project which will be showcased at the 2017 evworld (electric vehicle world) conference. 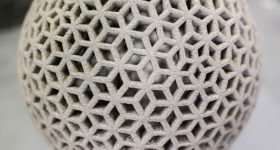 Research at the École Polytechnique Fédérale de Lausanne, Switzerland, has combined 3D printing with electroplating to create complex metallic structures. 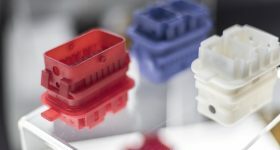 The method speeds up production of electrically conductive objects, such as electrodes, by using a 3D printed plastic shape as a base and then coating it in metal. An article on the research has been published in the journal Physical Review Applied, and can be accessed online here. The Institute for Robotics and Intelligent Machines at Georgia Institute of Technology, Atlanta, has developed a swinging robot called Tarzan. Researchers working on the project have developed the robot to provide a novel form of aerial observation, the likes of which could be used by farmers to monitor crops over vast fields. 3D printing was used to makes the grippers on Tarzan’s hands, used to navigate itself along a wire with embedded infrared sensors. 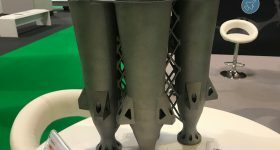 Additive manufacturing solutions provider EOS has joined the 3MF Consortium, set up to develop a new universal 3D file format in place of .stl. 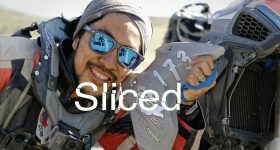 As a founding member, EOS joins other 3D printing giants such as Autodesk, 3D Systems, HP, GE, Dassault Systemes and Materialise to create 3D models that retain the full-fidelity of a design. 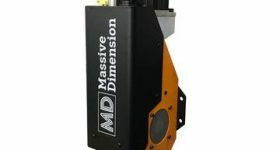 The 3MF 3D file format plays an important role in AM by helping to improve the efficiency and productivity of AM solutions while eliminating the issues found with older file formats. 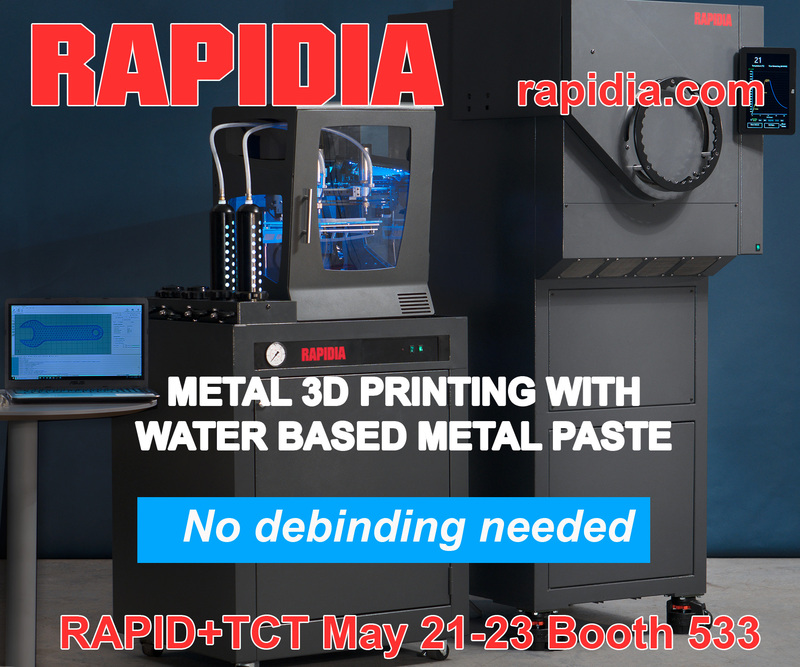 The company has also partnered with Incodema3D to increase its machine portfolio. NASA have launched a project with multiple universities to focus on technologies essential for deep space exploration. Florida State University’s (FSU) High-Performance Materials Institute and the Florida Agricultural & Mechanical University (FAMU) have joined the list to provide advanced manufacturing expertise to the project, and 3D printing will play an important role. 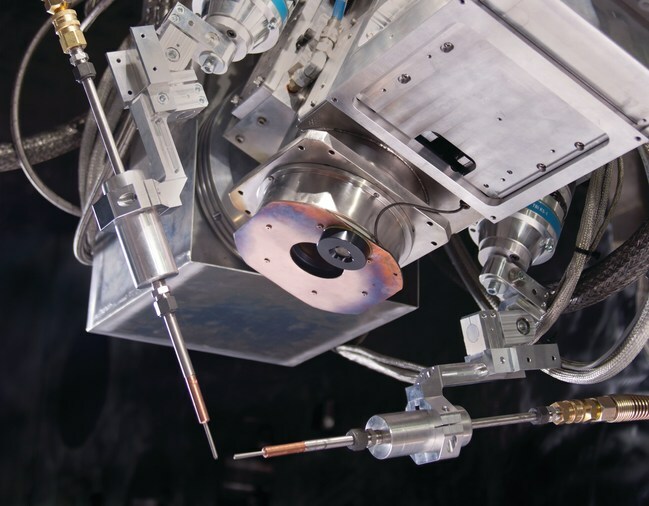 The High-Performance Materials Institute is a leader in developing advanced nanocomposites and additive manufacturing that will be critical for man’s extended presence in deep space. Because of this grant, our students will have unique opportunities to participate in an exciting future major space program. 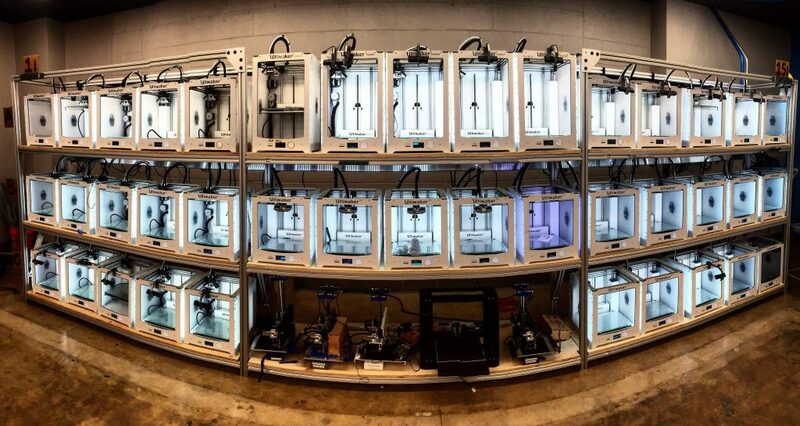 All these tools allowed Duke University’s 3D printing lab to increase the number of printers involved in the work by almost seven times and to spend more than 1000 kg of material in the last 20 months. 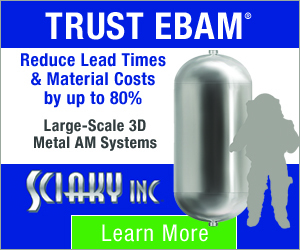 Sciaky, based in Chicago, recently delivered its first EBAM system to the Asia-Pacific region. According to Sciaky the American parts supplier currently wishes to remain anonymous but will unveil details in the coming months. 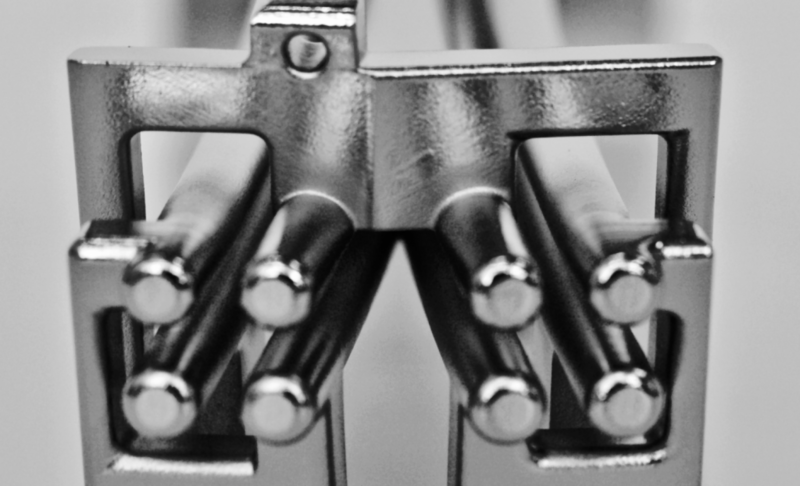 The shy parts supplier will serve industries including aerospace, defense, automotive, and oil & gas with its 3D printed metal parts. Sciaky EBAM System with dual wirefeed configuration. Photo via Sciaky, Inc.
California’s Airwolf 3D has sponsored the 2017 ocMaker Challenge. The competition is designed to help develop STEAM (Science, Technology, Engineering, Art and Math) skills in pupils at schools across the state. 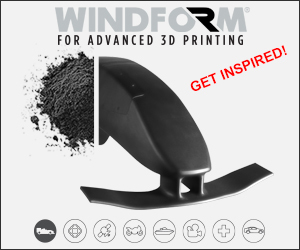 With full sponsorship, Airwolf 3D provides 3D printer training teachers to enable students to get the most out of their projects. 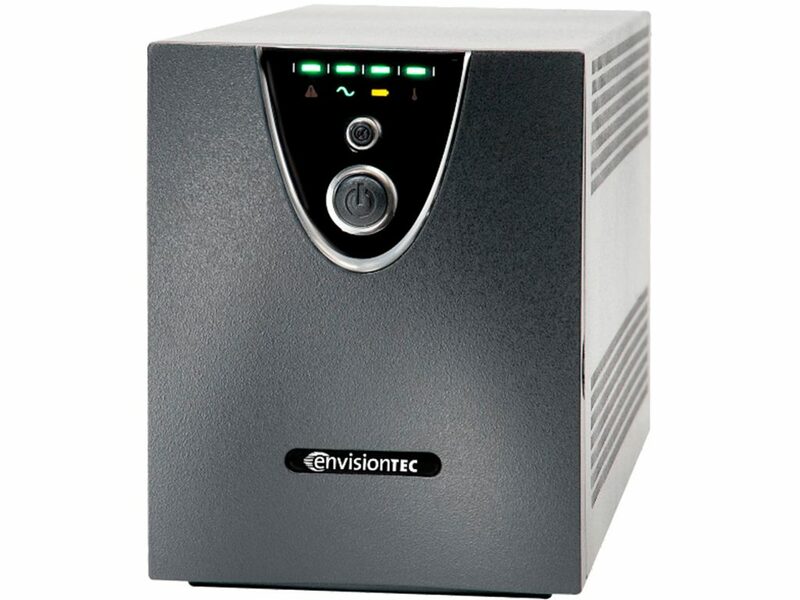 Because our customers are power users — professionals and manufacturers who rely on their 3D printers for commercial products and significant production — EnvisionTEC is proud to offer an approved energy management solution that protects 3D printers and the parts they are building from voltage fluctuations. King Bhumibol Adulyadej who passed away in October 2016, has been immortalized in a 3D printed zoetrope created by artist Witaya Junma, 3D designer Manon Lichanatien and curator Somporn Rodboon. ‘Pieces of Happiness’, which can be viewed in the video below, is on display at Fabcafe Bangkok, a MakerSpace and eatery in the country’s capitol. ‘Pieces of Happiness’ 3D printed zoetrope from witaya junma on Vimeo. 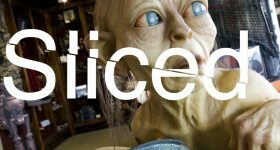 For the latest 3D printing news Sliced direct to your inbox sign up to the 3D Printing Industry newsletter. 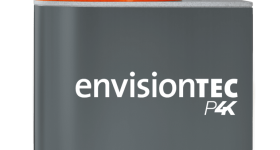 For to-the-minute updates Follow us on Twitter and like us on Facebook.